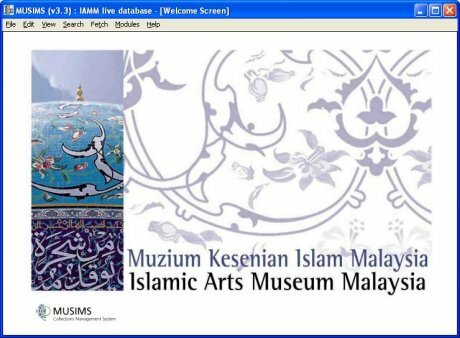 The Islamic Arts Museum Malaysia (IAMM) in Kuala Lumpur is the first museum of its kind in the world, and is dedicated to its goal of being the custodian, restorer, preserver and educator of Islamic Arts. The museum is a non-profit organization committed to the care and display of these priceless works of art for future generations. We have configured and installed our collections management system for IAMM. The system was specifically built on existing practices and procedures, while allowing the museum to catalogue its collections to international standards.